Loving the support and quality of the Alex Branding theme - we changed to UniTheme a long time ago, and have had nothing but top notch support from their team. Just updated to the latest CS-Cart the other day, ran into 1 small issue, was fixed in no time at all - really best support a store owner could ask for. We also made the transfer to this UniTheme and our experience with Alex Branding is similar to that stevea. We can recommend this Premium Theme without any reservations. Money well spent. This question is for anyone who can answer it for me. What are de recommended dimensions of the following images used for promo's in the UniTheme framework AB Deal of the day. Image for promotion page and the image for the promotions list. That reminds of something, correct me if I am misinformed Aleksandr but don't you guys offer also a package where you create custom banners for clients using the UniTheme ? yes, we do, just on the UniTheme page in our store you can find info. Recent UniTheme version is comatible with CS-Cart 4.7.2, so all theme users can update their CS-Cart core. I have a problem of the AB Deal of the Day Addon. 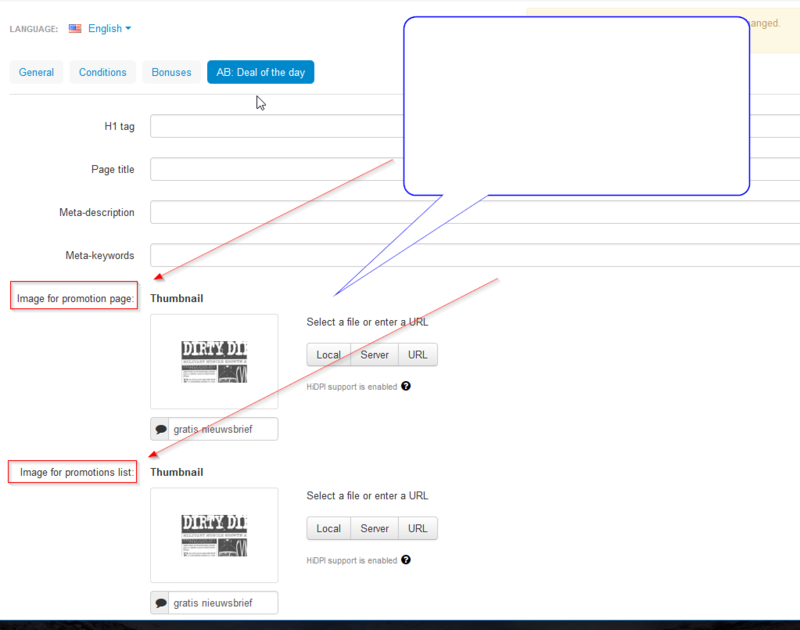 I'm use the Cs-Cart 4.6.1 and install the Unithemes. The image of Deal of the Day does not appear on the Home Page. I input all the information, and upload new image, hit Save. The "Notice: Your changes has been saved"
But it returns to the blank page, and no image has uploaded. Please let me know how can I fix this problem? Thank you a lot. As usual there is no response from theme company. Theme companies make really good money in the beginning but they don't want to deal with tech support questions and you are left with no support and no ability to change the code. edit the font less file in the tygh subdirectory (/css/tygh/) and go to the appropiate styles.less / styles.css file and change your font-family from MuseoSansBlack to your desired one. There is a bug on AB: Advanced banners on RTL Arabic site. the text must Align right to left but its shown left to right. but it looks good on your demo UniTheme site. A quick question to especially alexbranding before I pull my hairs out..
Our designer created a .gif based banner, but when I upload it as an AB:advanced banner it doesn't show as .gif but is converted to .png. What went wrong? I have no idea where to change this! What went wrong? I have no idea where to c hange this! Go to Settings > Thumbnails and change 'Thumbnail format' accordingly. Also, I think code customization would be required as in this particular case, CS-Cart should directly use the source, instead of the 'thumbnail' it generates nonetheless.